Since 1919, Health o meter Professional has been the leading professional scale brand. Originally formed in 1919 as the Continental Scale Works, its heritage is as the inventor of the "doctor's" beam scale. 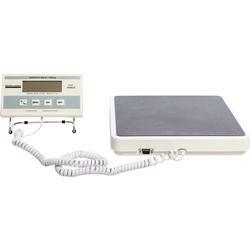 Nearly every medical professional has used a Health o meter Professional scale. Our continued success stems from our commitment to innovation, dedication to our customers and over nine decades of technical expertise with medical scales.